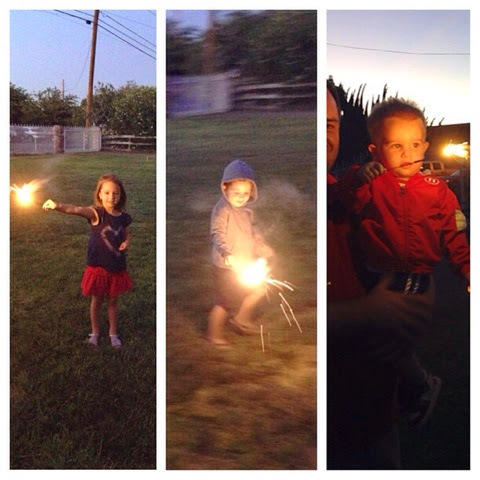 i realized last week that i never blogged about the 4th of july. it was pretty uneventful this year. since chelsea and jeff moved a few days before, the move kind of took over the holiday. we worked pretty hard on the move the days before and after but decided we should probably celebrate a little. we took the kids to a park in the neighborhood. they had music, food, games, etc. the kids had fun and really loved running through the big sprinklers. some people from church got together for a celebration. they had quite a few fireworks so we ended up doing that instead of trying to find a place to go watch regular fireworks. the kids had fun. 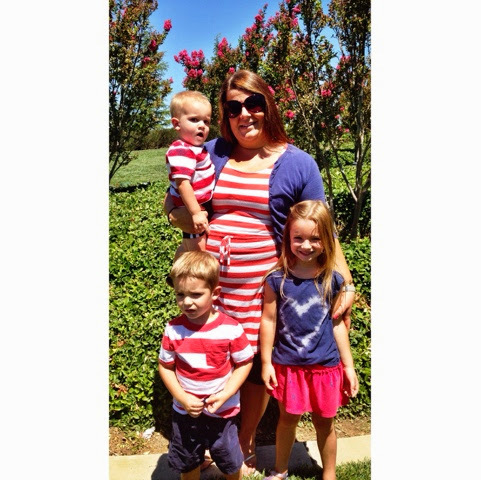 even though it was a little crazy with the move, i am really happy i got to spend the fourth of july in cali. Love that dress and cardigan combo!